is a stunningly beautiful area. A rustic home just outside Lake Placid. 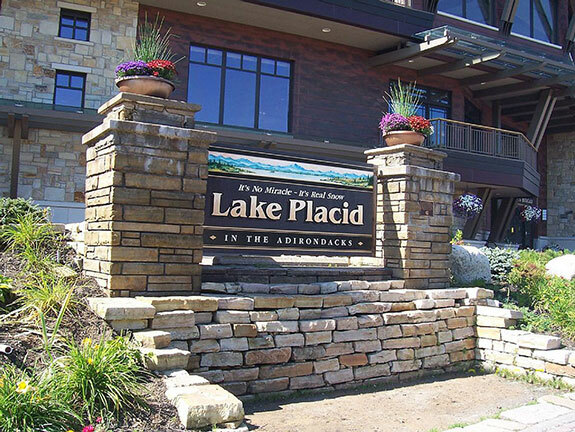 A 2BR condo with stunning views of Lake Placid. "Our Dancing Bear" – A 2BR condo with exceptional views of Lake Placid. Rudy's 'paradise' in Lake Placid. A 3-BR condo with stunning views of Lake Placid, featured in Vogue magazine. offers great amenities at the Whiteface Club & Resort. is a 3BR that sleeps 8 with all the amenities at the Whiteface Club & Resort. is a classic Arts and Crafts home, in town, and pet-friendly. A beautiful 3-level, 3-BR condo near the center of Lake Placid Village. A lovely 3-BR condo (2 kings/1 queen) close to the center of Lake Placid Village. A gorgeous 5BR private home overlooking Lake Placid at Whiteface Club & Resort. A lovely, rustic 3BR 3BA newer built log home near Lake Placid. and Catskill Mountains are beautiful year-round. is a historic 1891 mansion on the Hudson River. A country getaway in New York near the Connecticut border. Welcome! We specialize in exceptional and unique vacation rental properties for the discerning guest. Our rental properties are truly one-of-a-kind, and your delight and happiness is our success. Please view our available properties in Lake Placid and the Hudson Valley and reserve your next getaway for a unique vacation experience you'll long remember. We are available anytime so please call or use our contact form, if you have any questions or would like to make a reservation. We specialize in upscale vacation rentals in Lake Placid and the Hudson Valley. If you enjoy the finer things in life, you'll love the quality of Rudy's vacation rentals. Each is unique, one-of-a-kind and will exceed your expectations! Rudy will handle all the details so that you can enjoy your vacation without worry. Questions? Just ask. You'll be glad you chose one of Rudy's properties! Each of Rudy's vacation rental properties offers high-end amenities that you will appreciate and enjoy! Rudy is available for personalized advice and consultations, if you are interested in property management. We will help you make the right decisions!